When it comes to dry and dehydrated skin, sometimes even with the richest creams, they can’t quite quench the skin. 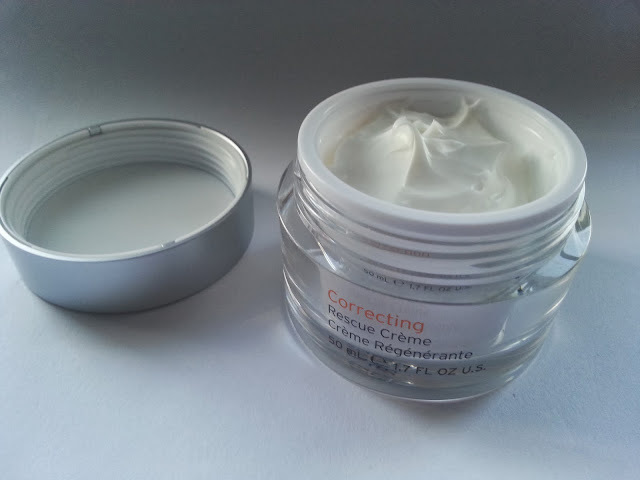 Have you ever tried creams where they sit on top of your skin leaving a greasy film but never quite sink in and deliver the comfort and hydration that your skin needs? As someone with perpetually dehydrated skin (Yep, it's a total pain despite me drinking 6+ litres of water daily, but that's a whole other story!) 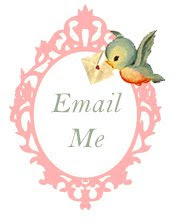 I'm forever trying out new moisturisers, creams, serums, lotions and potions in the hopes of finding "the one". The most recent addition in my quest is the Correcting Rescue Creme by Kerstin Florian. 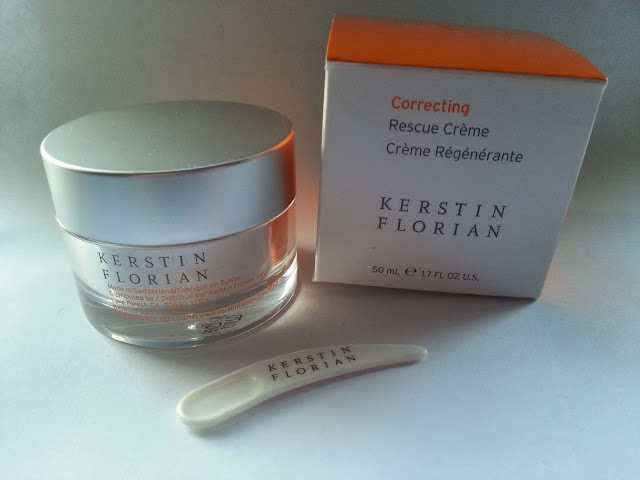 Kerstin Florian Correcting Rescue Creme promises to strengthen skin’s natural protectant for hash weather (especially those who ski) and is the ultimate weather proofing product. 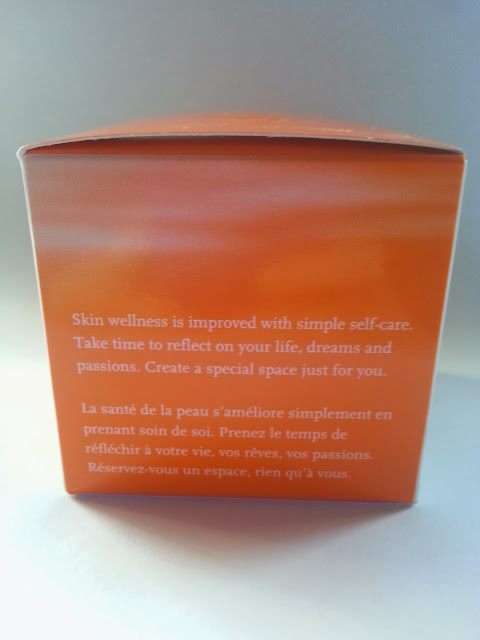 When I first picked up this product, I was thinking to myself surely this product WOULD deliver the hydration my skin needs and sure enough it did deliver. But first, onto some photos. 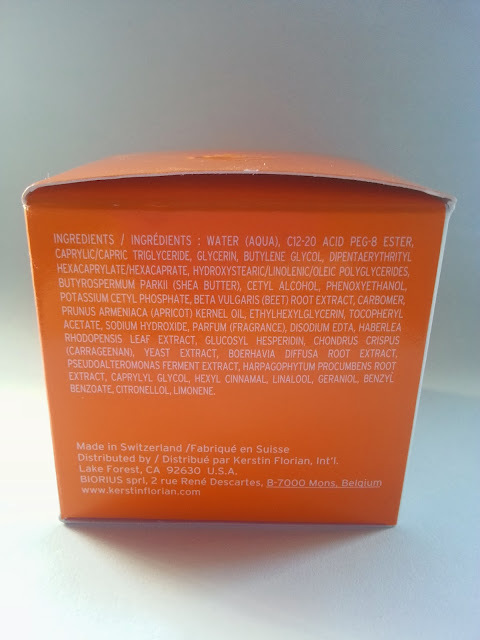 Aqua (Water), C12-20 Acid Peg-8 Ester, Caprylic/Capric Triglyceride, Glycerin, Butylene Glycol, Dipentaerythrityl Hexacaprylate/Hexacaprate, Hydroxystearic/Linolenic/Oleic Polyglycerides, Butyrospermum Parkii (Shea Butter), Cetyl Alcohol, Phenoxyethanol, Potassium Cetyl Phosphate, Beta Vulgaris (Beet) Root Extract, Carbomer, Prunus Armeniaca (Apricot) Kernel Oil, Ethylhexylglycerin, Tocopheryl Acetate, Sodium Hydroxide, Parfum (Fragrance), Disodium Edta, Haberlea Rhodopensis Leaf Extract, Glucosyl Hesperidin, Chondrus Crispus (Carrageenan), Yeast Extract, Boerhavia Diffusa Root Extract, Pseudoalteromonas Ferment Extract, Harpagophytum Procumbens Root Extract, Caprylyl Glycol, Hexyl Cinnamal, Linalool, Geraniol, Benzyl Benzoate, Citronellol, Limonene. 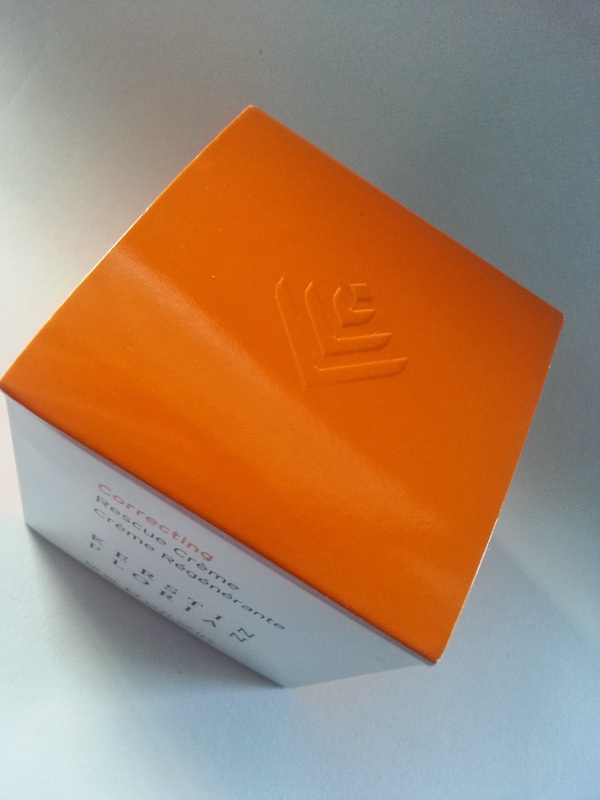 "These ultimate corrective products based on hyaluronic acid, vitamins and glycolic acid treat, repair and refine the skin. 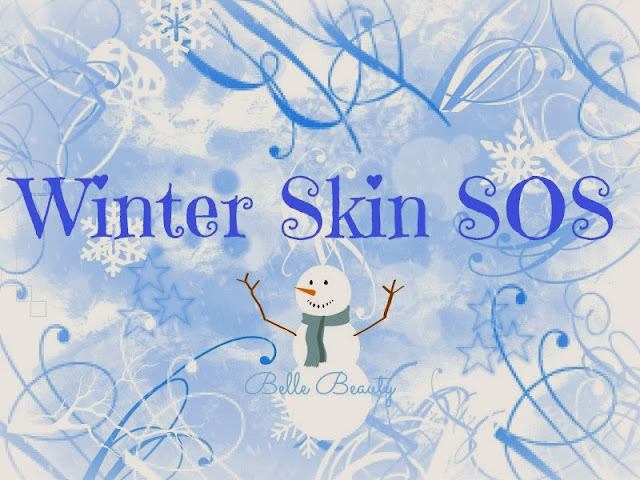 Reveal healthy vibrant skin and improve skin texture, sensitivity, uneven skin color, fine lines, loss of elasticity, hyperpigmentation, dull or dry patches, clogged or enlarged pores, blackheads and acne scarring." 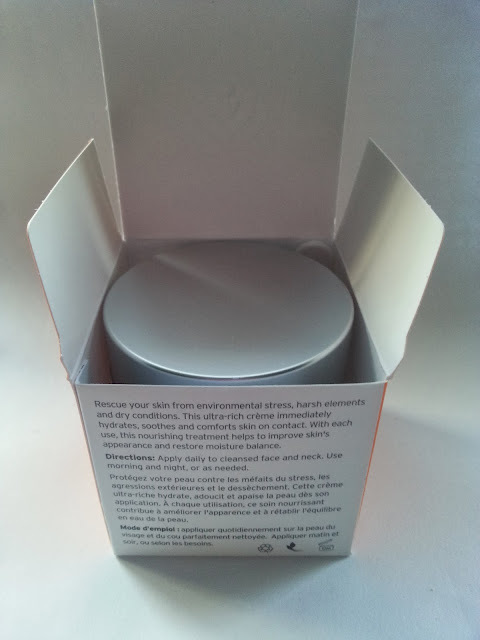 The jar itself contains a pretty generous 50ml of product, compared to the usual 30mls or thereabouts you normally get. 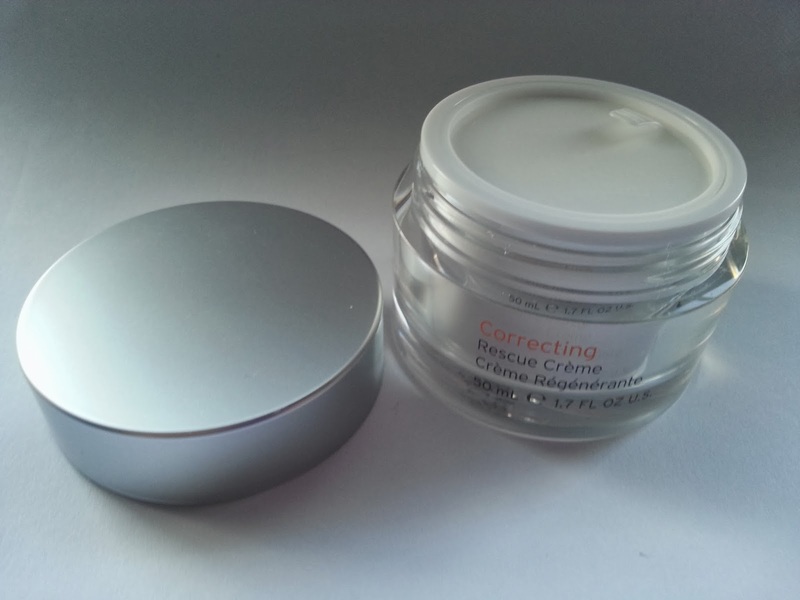 It's housed in a nice thick, clear plastic jar with a matte silver screwtop lid. Hygiene insert is also included to ensure you don't have any leaks or spills when travelling. 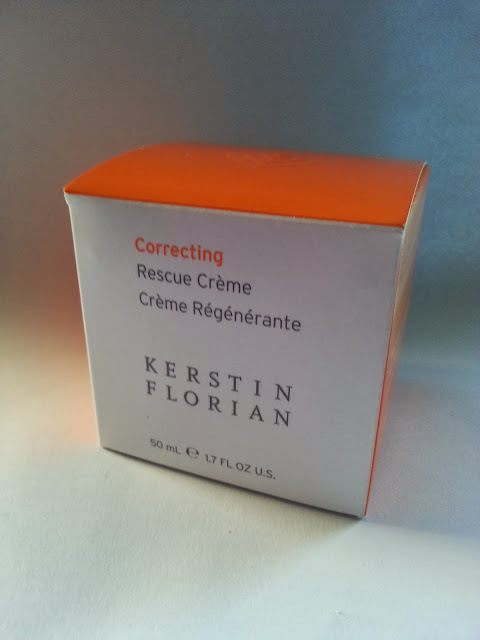 Kerstin Florian Correcting Rescue Creme promises to strengthen your skins natural protectant for harsh weather conditions and is the ultimate weather proofing product. 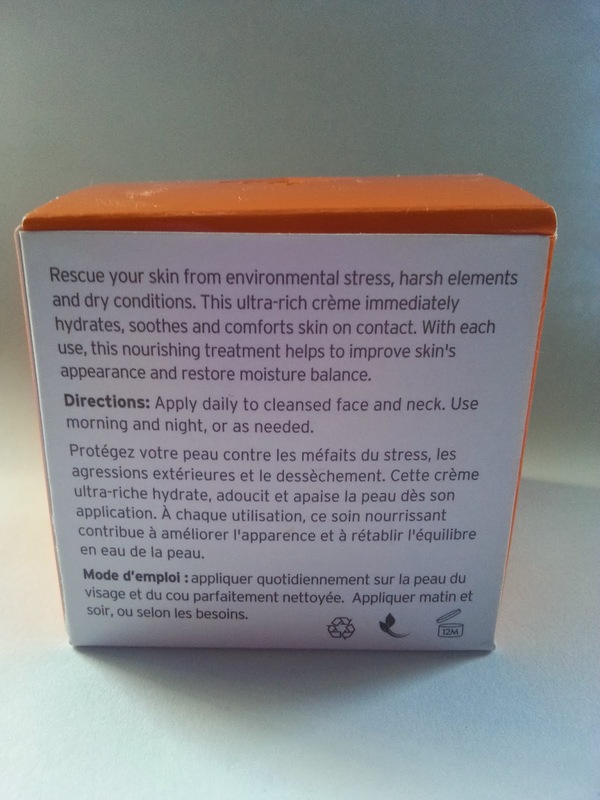 When I first researched and read up on this this product, I was thinking to myself surely this product WOULD deliver the hydration my skin needs and sure enough it did deliver. Texture wise this is rich, creamy and very unctuous. 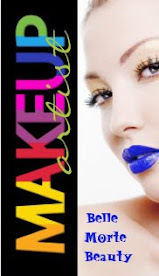 It has a luxurious feel to it and absorbs into skin fairly quickly, leaving skin well hydrated with a nice dewy finish. 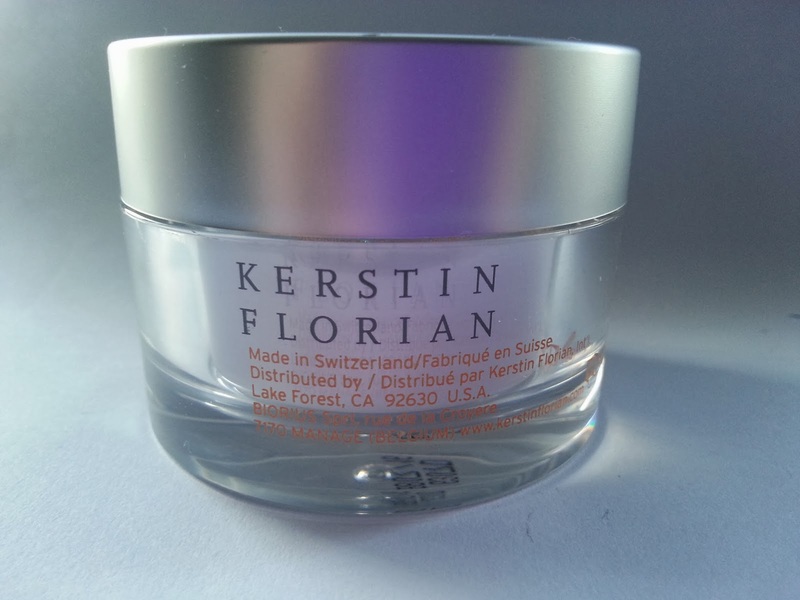 In addition to its ability to quench dehydrated skin almost instantly, I am most impressed with how well this moisturiser can keep my skin hydrated without leaving any greasy residue which is a total skincare bugbear of mine. In fact, this worked so well I could use this both day and night. Since I’ve began using this, I had no issues with dry, tight and flaky skin! 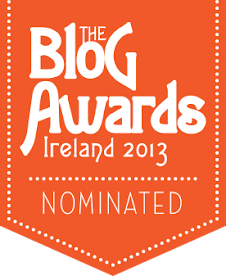 Praise the bejaysus! I've been using this for the past month as a day/night cream along with a facial oil (which I'll be telling you about shortly) and it's working an absolute treat. I've been out in the elements quite a bit lately, what with last minute Christmas shopping, panic buying, and generally strolling around taking in the sights and sounds of the festive Galway Christmas Market and this Rescue Creme is really living up to its name! 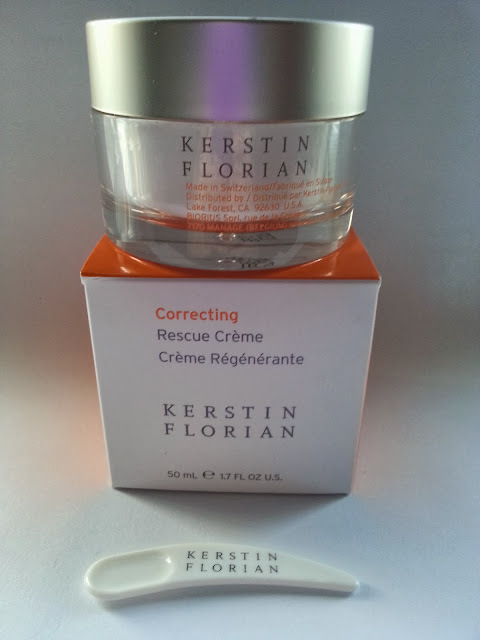 The Kerstin Florian Correcting Rescue Creme has definitely made its way to the top of my Winter Skin SOS and Dry Skin Rescues. 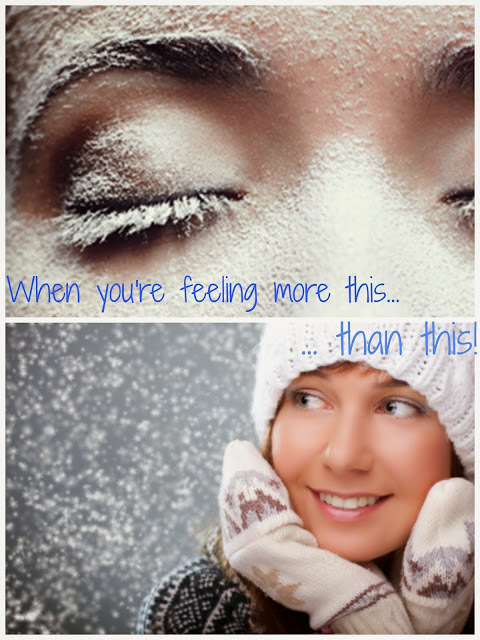 Those with normal to ultra dry skin, even combination skin with dehydration can benefit from this. Also great for sensitive skin as this calms and soothes irritated skin.